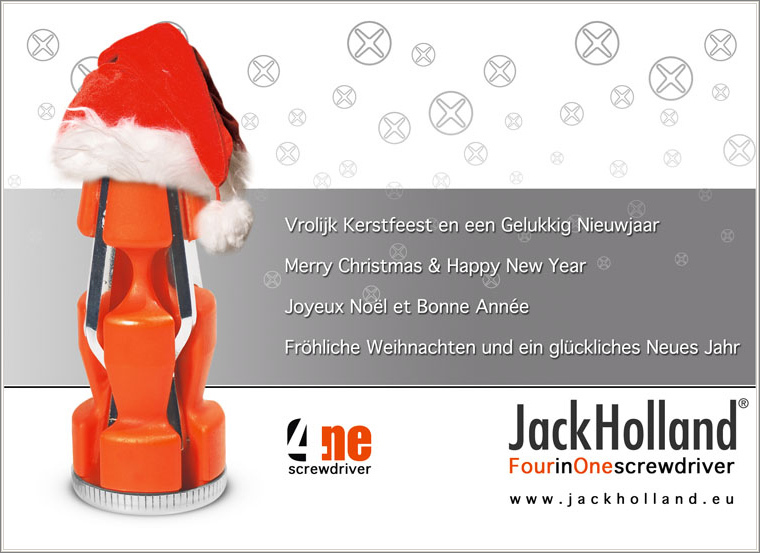 JackHolland 4N1 screwdriver is the brainchild of 5 Canadian specialists. These craftsmen from mainly the metal line of business were for quite some time in search for a qualitative good and strong, easy to handle and ergonomic hand tool. Using their hands-on mentality combined with their expertise, they have taken initiative and designed this practical, multi-use screwdriver. Our investors have formed an organization called Canadian 5 (C5) and they will do their utmust to make this 4N1 screwdriver a professional success. Ron Reimche was borne in Moose Jaw Saskatchewan. He studied and became a Journeyman Electrician when he was about 21. There was always the pull towards the farm and he farmed for 8 - 10 years, while working out. Later Ron completed a Diploma in Agriculture from the University of Saskatchewan. He enjoys the country much more than the city. He and his wife live in Swift Current now. The 4N1 screwdriver came along and Ron started enthusiastically developing this multi hand tool. His first designing had numerous trials. There were hundred of hours spend on ideas. It has been an very good experience with the group of investors and Ron is certainly looking forward to a successful and fulfilling adventure with all involved. Jack Velings is borne and raised in The Netherlands. Jack is owner and general manager of IS Bergeijk and JVM Holding, both companies in the metal line of business. As he enjoys horse back riding Jack made several trips to Canada. Jack is the driving force behind the development and production of the 4N1. Jack is proud of the 4N1 quality and believes strongly in this though product. Shawn Hiebert was born and raised near Swift Current, Saskatchewan, Canada. This avid sports fan enjoys watching all sports and is an active golfer, volleyball and racquetball player. He currently lives near Swift Current on a acerage with his beautiful wife Rachel. Shawn has a extensive background in agriculture, construction and excavation. He works daily with tools of all quality and he can say with confidence that the 4N1 screwdriver is a product he believes in. Therefore he is very excited to be part of the C5 group. Linden Holderbein was born and raised on the family farm in rural Saskatchewan Canada. However his interest was not in farming. He enjoyed mechanics, so he enrolled in welding, metal work, motor vehicle mechanical repair, and he received his journeyman's status. Linden has owned and operated his own companies ever since. Therefore he knows how to recognize a good piece of tool, like the 4N1 screwdriver. Linden has been happily married for 31 years, and together with his wife he loves to travel. He also has an avid interest in flying, having his private pilot license, he enjoys flying remote control aircrafts. Linden owns a 1971 Boss 351 Mustang that he is now restoring after several years of quarter mile racing. Linden states that he is very proud to be a part of the 4N1 screwdriver with his 4 partners and friends. Stan Hiebert is part owner, manager and operator of Duall Excavation, an excavation business in Swift Current, Saskatchewan, Canada. Stan owned and operated a Grain and Cattle farming business for 43 years, which he sold and retired from in 2004. He was raised on a farm in Saskatchewan, Canada and has lived there his entire life. Stan serves on a Board of Directors with a local Co-op and enjoys going to hockey games, playing golf and curling. Like his son Shawn he believes in the quality of the 4N1 screwdriver.